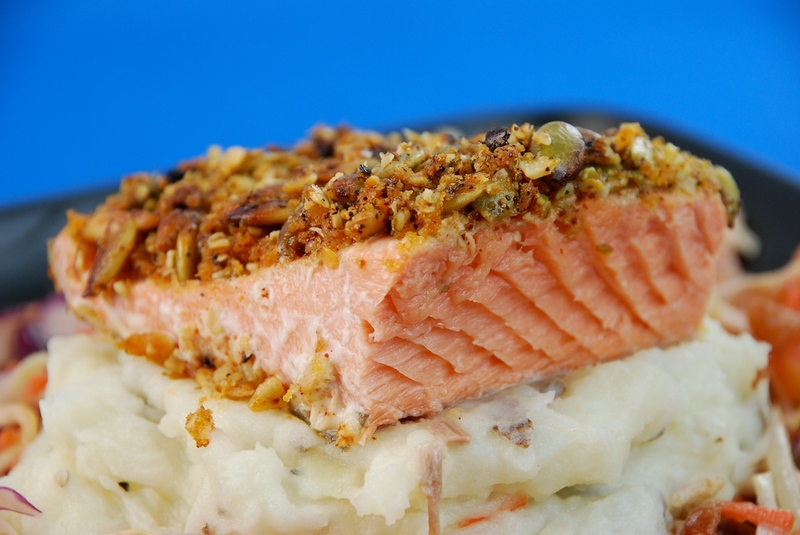 Now that fresh Alaska salmon is in season and we can eat it as often as we like, a lot of us are looking for some new recipes. 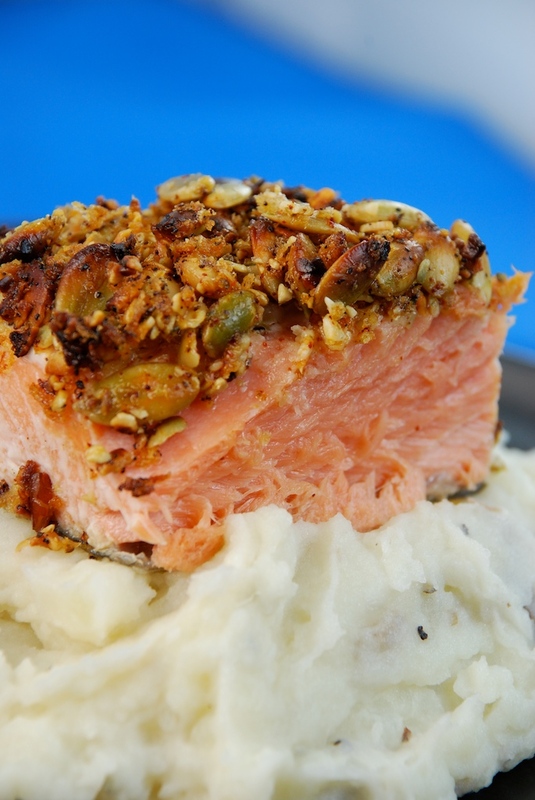 Here is a tasty and nutrition packed version with roasted pumpkin seeds – enjoy in good health! Roast to a golden brown in the top of a 450 degree oven for 6-8 minutes, remove and rest for 5 minutes before serving. Serves about 4.